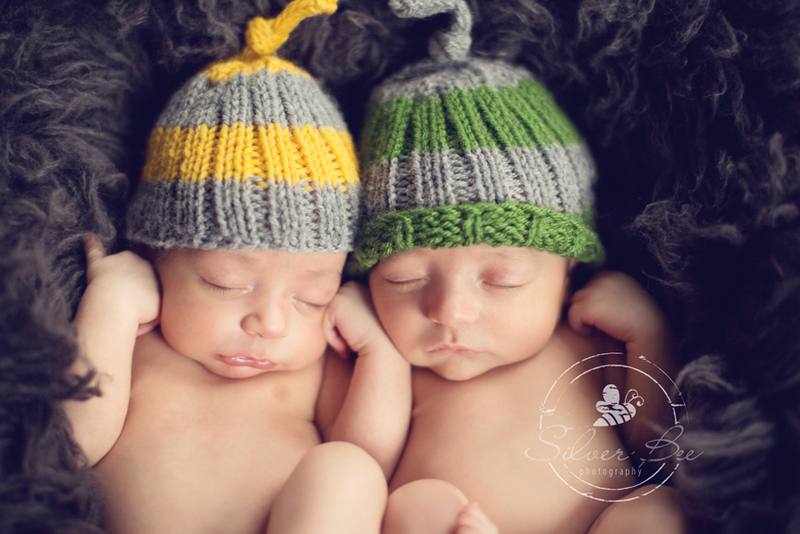 Wow, I cannot believe how many newborn twin photo sessions I have had in the month of January! 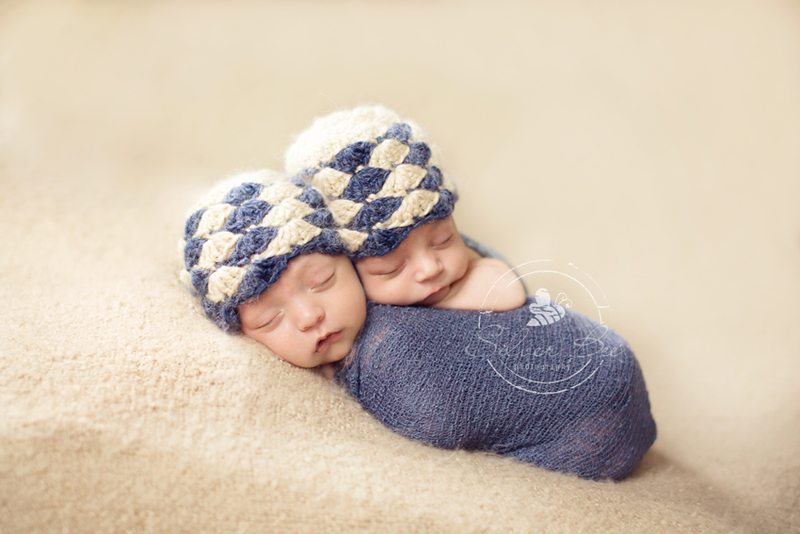 Not sure if there was something in the water 9 months ago, but I so love working with twins. Don’t get me wrong, these two little fella’s made me work! But what that really means to me is that I get more snuggles in with them. It’s so funny how newborn twins have such strong personalities and I can spot right away which is going to easily cooperate and which is not-so-easy. It’s pretty amazing how personalities develop right after birth and in the early days of babies. These little guys were a bit older, older in my world is two weeks and up, so I wasn’t positive that we were going to get this setup. They weren’t too happy with the hats alone, so I was pretty shocked when they settled into this pose. We got the shots and then moved on to the next! With twins I always make sure to take individual shots as well so that mom and dad can see all the tiny different details in each baby. It also is the most fascinating poses are when twins hold their hands or feet the same way, without any help from me. These two always had their hands just so, you could tell there was a special spot for them. And looking at the photos you can see they are exactly the same spot for both. So sweet. 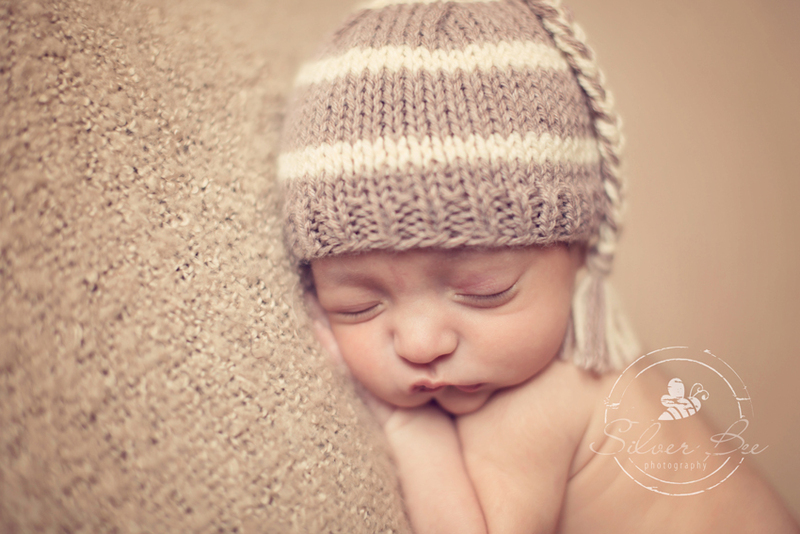 So, when I wrap up January I will have photographed 5 sets of twins! Four boy/girl twins and one set of boys. That’s a lot of babes coming my way this year so far. If you are looking to book in March or April, don’t wait to get in touch, I am just about booked for those months. Always, makes me sad when I have to turn moms-to-be away. I wish I could squeeze in here-and-there, but it’s getting awfully tight. 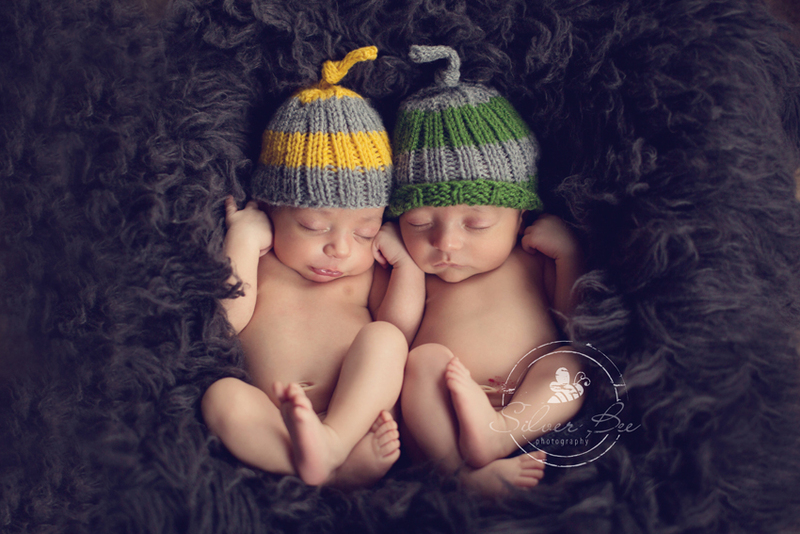 I’ll be posting more twin sessions soon…hope you enjoy these two and there were such a pleasure to photograph and I feel honored to have been their newborn photographer. Thanks Isabel! Looking to include a furry friend in your session? Learn more!